9:45pm–#Bridgeport CT– Police are investigating a home invasion in the 300 block of Laurel Avenue. 5 men in a garage were held at gunpoint. A van was taken. 9:49pm–#Bridgeport CT– Police are investigating a car that was shot up in the 900 block of Norman Street. 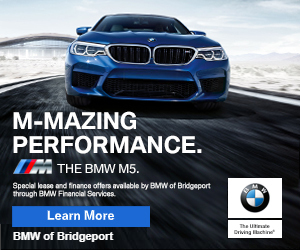 8:46pm–#cttraffic–#Fairfield CT–A tractor trailer and camper are involved in a crash on I-95 southbound just south of the rest area. Firefighters just arriving on scene. No word on any injuries.